Wine has long been the drink of romance. So, if you’re a vino aficionado, why not celebrate your love with a wine-themed wedding day? Say ‘I do’ where your favorite drink is created by choosing a vineyard venue. Wineries come with plenty of rustic charm as well as natural décor that’s picture perfect for a wedding. “Wineries with vineyard views have a variety of stages from green growth to being weighed down with grapes right before harvest, to fall leaf colors. It gives our clients options for styling their wedding in each of those seasons,” says Marisa Manna Ferrell, president and planner at So Eventful in Healdsburg, Calif. There are thousands of wineries to choose from across the country from Napa Valley and Sonoma in California to central Virginia and upstate New York. Even the Midwest has its own vino attractions in the hills of Missouri and Texas. Evoke the idea of wine in your invitations with a red watercolor background (like a wine stain) or by closing the envelope with a wax seal, suggests Ferrell. These little details allow you to subtly introduce the theme to guests in a way that doesn’t appear cheesy or kitschy. From rich merlots to effervescent champagnes, there are plenty of vino-inspired hues to choose from for your wedding palette. Why just reserve the wine for the reception? Celebrate the bringing together of your two lives with a wine blending ceremony. This ritual involves mixing together two different wines into a decanter to signify how you’re becoming a single unit. Of course, the highlight of a wine-themed wedding is the wine itself. Ensure the vino is the star of the show by having each course professionally paired by a sommelier. You can even make wine an interactive activity by hosting a wine tasting class or grape-crushing game during the cocktail hour! 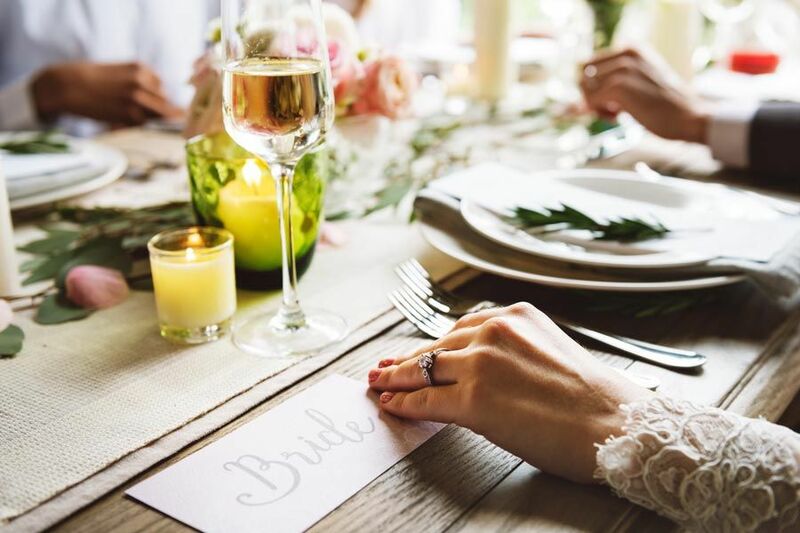 Send your guests home with a taste of your wedding with wine-centric favors, such as mini bottles with personalized labels; travel sized corkscrews; bottle stoppers with your initial; or wine glasses etched with your wedding date.